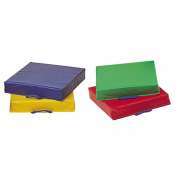 Buy Kids Seating & Floor Cushions for Your Classroom or Library! 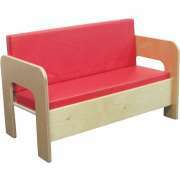 Transform your preschool classroom into a magical world of fun with our great selection of kids seating. 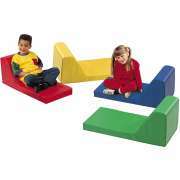 Young learners will love the comfy feel and creative designs of our floor cushions and soft seating. 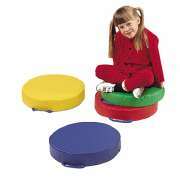 We have seating in many shapes and sizes to fit your classroom, library or information commons area. Teachers will appreciate the high safety standards and easy maintenance of Hertz Furniture&apos;s children’s seating collection. What are the best alternative seating options for the classroom? That all depends on what kinds of activities the teacher uses and what the space allows. How can I help little ones feel at home in a preschool classroom? 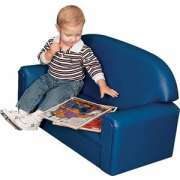 Little ones need comfy places to sit whether they are working on projects, reading quietly to themselves or playing together in preschool learning centers. 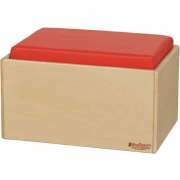 With our wide variety of styles and models, you can find some excellent floor cushions and kids couches for any part of the classroom. 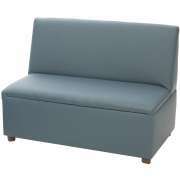 With lots of places to sit and many enticing options, children will be excited to come into class and enjoy the appropriately-sized furniture. Children&apos;s Factory has a number of unique designs that will encourage young learners to explore and be creative. Versatile cube chairs will fit just about anywhere in the room. 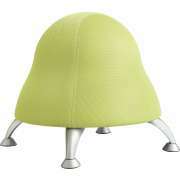 Their innovative design lets little ones decide just what they would like to use them for. 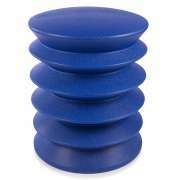 These vibrant chairs can be stacked, sat on or used as a work surface. A lightweight design enables children to take initiative and move them around independently. How can you keep preschoolers comfortable during circle time? Although many early-childhood classrooms use rugs for circle time, carpets might not provide adequate padding for little ones. In order to make sure that everyone is comfortable sitting on the floor, supply your classroom with some soft kids cushions. 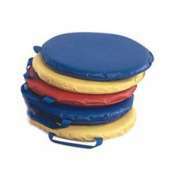 Smaller cushions are perfect for creative games and other floor activities while large fun animal shapes offer a great place to rest or hang out. 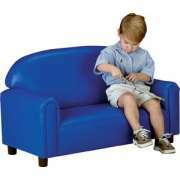 Kids seating including couches and beanbag chairs will fit well in a reading corner or an imaginative play center. Little ones can feel like grownups as they sit down and dive into a great book, or create a pretend living room or office waiting room setup. For an even more realistic arrangement, consider adding some preschool end tables and coffee tables. 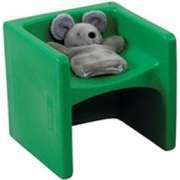 With so many fun and realistic pieces, little ones will feel free to let their imaginations soar. Imaginative play and reading are critically important for your young students. Early literacy development can impact little ones for the rest of their lives. Having an inviting reading corner and celebrating events are just a few of the many great ways in which we can encourage students to be lifelong readers. 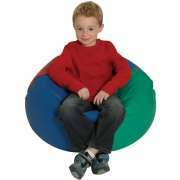 Beanbag chairs are cozy to sit on no matter how old you are. They mold to fit each person perfectly, so everyone can feel at home. 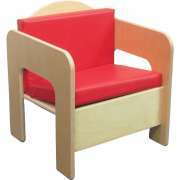 This comfy preschool furniture can fit just about anywhere in a daycare classroom or even in a children&apos;s library. What size chairs do you need in a preschool? 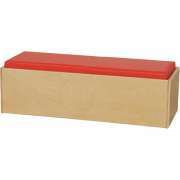 Play seating that is just the right size for the little ones in your care is guaranteed to enhance any learning space. 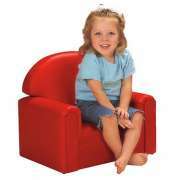 Toddler chairs, soft seating and cushions promote proper posture which helps children focus longer and learn correct ways to sit, and get up. When children need to relax throughout the day, or just take a little break to calm down, preschool chairs and beanbag chairs provide a great place to have some alone time. 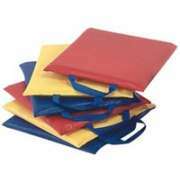 They can also be arranged in clusters to encourage social interaction among your little ones. At Hertz Furniture, we know that young children deserve to be treated to proper seating in the daycare and preschool classroom. 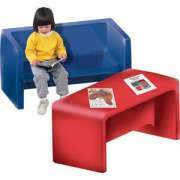 Our wide selection of kids seating and floor cushions ensures that all of your young students can enjoy appropriately-sized seating. 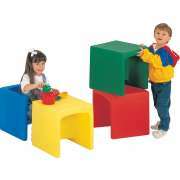 Great toddler chairs will add color, fun and new activities to any learning space.